Properties in Marco Island average 4.7 out of 5 stars. Property 2: Apollo 906 9TH Floor Center Unit Private Balcony! Property 5: Beachfront Penthouse @ the Apollo!! Best Views on Marco Island!!! Property 6: Water Views!! Newly Updated 5th Floor 1Br/1Ba Overlooking Large Pool And River. Property 15: View of the Gulf - Completely Remodeled Private End Unit - Must See! Property 17: Beautiful Water views! Water views from the comfort of your condo! Property 18: SPECIAL SUMMER PRICE. Pristine condo on beach and Tiger Tail nature preserve. Property 21: Rare 2 Bath 1000 sq ft Amazing View! Property 24: Renovated 2 bed 2 bath Cabana Unit w/ On-Site Dolphin Tiki! Property 25: YOU WILL ENJOY IT !!! Spacious Single Family Home With Wide Water Views! Property 27: Spacious Single Family Home With Wide Water Views! Amazing Sunsets from your private Spa, Pool & Dock! Property 28: Amazing Sunsets from your private Spa, Pool & Dock! Sea Winds ..White Sand and Blue Ocean... for Miles and Miles! Property 33: Sea Winds ..White Sand and Blue Ocean... for Miles and Miles! Property 35: Beachfront condo w/ Panoramic view. Property 40: Beachfront Condo in Paradise. Summer Sale!! 19 Floor OCEANFRONT PENTHOUSE ! !Largest unit !! Best available!! Property 46: Summer Sale!! 19 Floor OCEANFRONT PENTHOUSE ! !Largest unit !! Best available!! Marco Island - Across the Street from the Beach! 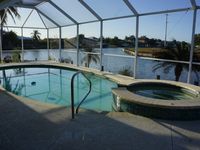 Property 49: Marco Island - Across the Street from the Beach! Turn key. Great family spot. Great space on one of the nicest sections of the beach. Saw dolphins from our room every day and the sunset is a nightly event on the island. Great pool to relax by when you need shade and less people :) Couldn&rsquo;t be more pleased with our stay. Location is fabulous. Restaurants, grocery store, bar and beaches all close by. But we enjoyed staying at the house in the pool and jacuzzi most of all! Kayaks and bikes we truly used daily!